I’m sorry if you only know of Allentown from the Billy Joel song. It’s misleading. It really talks about Bethlehem Steel, shuttered like almost all industrial powerhouses in North America, and now a gorgeously hulking backdrop for a casino-hotel, an arts complex, and a PBS station. In reality, Pennsylvania’s Lehigh Valley is far from a tableau of rust and regret—it’s the third largest metro area in the commonwealth, happily situated an hour away from New York to the east and Philadelphia to the south. And its residents are equally appreciative of good food and great beer. We have farmers who populate the country’s oldest continuously operating open-air farmers’ market and chefs who want a less stressy change of pace. And we’ve got brewers and entrepreneurs who, enticed by all the affordable industrial infrastructure just begging to be rehabbed, want to breathe new life into the historic spaces. 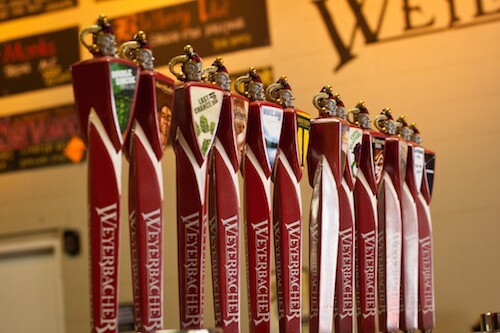 Easton is the gateway to Pennsylvania and where you’ll find the big, innovative beers of Weyerbacher Brewing Company. 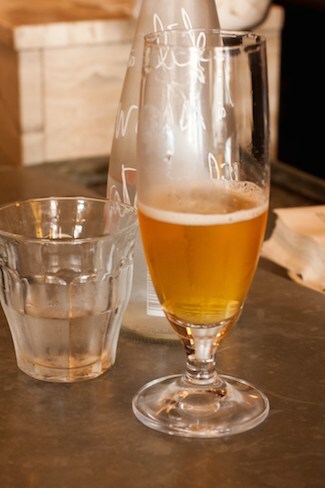 Perhaps you have tasted Merry Monks, their award-winning Belgian-style tripel, or cult favorite Imperial Pumpkin Ale? The tiny downtown Easton facility where the brewery started in 1996 has given way to a much larger warehouse on the South Side. The visitors’ center is open seven days a week—a recent, welcome change—with tours, tastings, and merch. If you travel for some samplings, make sure you investigate the Brewer’s Select series of experimental one-off brews as well as limited-edition beers. Weyerbacher recently introduced Tarte Nouveau, a kettle-soured but incredibly refreshing session ale that aims to stick around and make it to bottles someday. While in Easton, zip downtown for a quick pub and bistro crawl. If you want a stone-walled, Celtic-feeling pub, check out Porters’ Pub, where pewter vessels for indoctrinated mug club members occupy nearly the entire ceiling. After 4:00 pm, the quirky, dark Black and Blue offers gussied-up pub food and a freewheeling, elaborately illustrated menu of American and European craft beers—and absinthe, too. 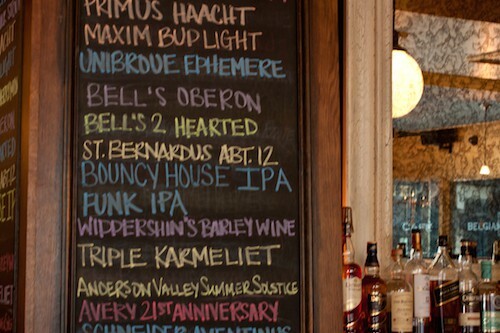 A block off Center Square you’ll find Maxim’s 22, a breezy French bistro with an extensive craft beer selection. Owner Josh Palmer is a steadfast proponent of sourcing locally, and that includes his taps, which showcase Lehigh Valley’s finest alongside some of Belgium’s best. Journey further down the valley’s main street—a.k.a. Route 22—to make a pit stop at Bethlehem Brew Works, the very first location of the Fegley’s Brew Works empire. The main brewing and bottling operation is now in a sprawling venue, complete with a restaurant, in downtown Allentown, but there are often different beers on tap at both locations. Fegley’s has grown exponentially since its inception in 1998, mirroring the growth of craft beer—and its drinkers. In the past ten years or so, Brewmaster Beau Baden has guided the company toward multiple awards at the Great American Beer Festival (GABF) and World Beer Championship. You’ll find something a little different further west in Allentown, something that’s not beer but definitely follows the path carved by craft brewing’s popularity: mead. 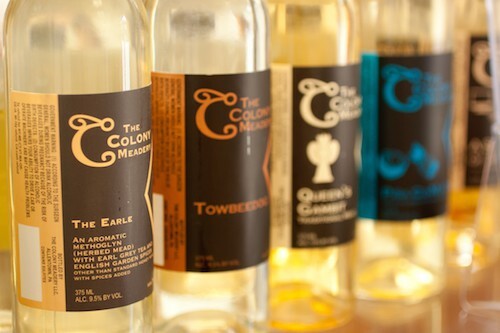 Colony Meadery blends and experiments the way any good brewer would do, adding things like hops, botanicals, coffee, spices, and berries. Housed in a former warehouse that’s now an incubator for a number of small, creative businesses, Colony happens to be neighbors with the up-and-coming HiJinx Brewing and the nascent microdistillery County Seat Spirits. Some budding entrepreneur should launch a snack food business in that building. If you make it west of Allentown to the quaint town of Emmaus, congratulations. You’re due for a drink at Funk Brewing, which opened strong in January 2014 by doing what its mission promises: pushing the limits of craft beer. Co-founders and homebrewing enthusiasts Kyle Funk and Jon Norman have partnered with prodigy-like head brewer Joe Percoco. A mere 23 years old, he’s the brain behind these Belgian-minded brews and has already pulled stints at Weyerbacher and Saucony Creek. Funk’s beers live up to their name in the best way possible and many receive evocative names by design: Efflorescence is a dry saison brewed with organic hibiscus; Brood is a dank, piney, farmhouse-style IPA with a dry finish. Perhaps by the time you read this, their fall beer will have arrived, with a name and everything—but without pumpkins. Funk is in the process of establishing (legislatively speaking) a tasting room; their beers fly so fast through the restaurant and bar system that there’s no need for bottling yet, though they haven’t ruled it out. You can fill a growler at their brewery or drink their beers at Fegley’s and a number of area bars. Or you can have a pint and a bite just down the road at the Trapp Door. It’s a farm-to-table gastropub in a former biker bar, but the décor is more dark-and-candlelit Middle Europe, with exposed wooden beams, cask ales and always, always something unique on draft. If you’ve got anything resembling sobriety left after that, my hat’s off to you. But should you want to make an overnight or two of it, you’ll find more breweries, pubs, and hotels on the Lehigh Valley Ale Trail. 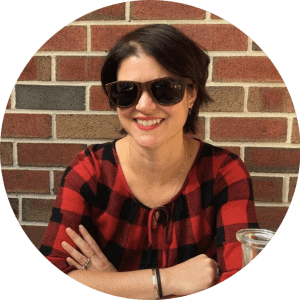 Carrie Havranek is a food and travel writer who lives in Easton, Pennsylvania. She’s also a baker who relishes adding beer to baked goods and goes out of her way for a good farmers’ market. You can find her work in Edible Philly, Frommer’s, and CarrieHavranek.com.